As our flagship grassroots campaign, this program holds great significance in terms of forming the character of the New York Nanum Foundation. Individuals of all backgrounds have been encouraged to join in the efforts to alleviate poverty and injustice through the 1% NANUM Campaign. It is through this campaign that NYNF can confidently proclaim that it is a foundation built, not by one individual or one corporation, but by everyone’s collective efforts. The amount is less important than that we give and give continuously to make a tangible community impact. The 1% Nanum campaign emphasizes a continuous spirit of sharing and giving by encouraging manageable recurring monetary donations as well as donations of time, talent, and goods. Donations are not just welcomed from the wealthy. To the contrary, our goal at Nanum is to involve as many individuals as possible by spreading the Nanumspirit of sharing through our communities. By so doing, more and more people can participate in the act of sharing. 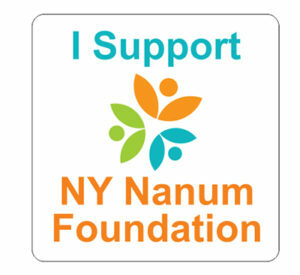 This kind of grassroots participation goes to the core of the NY Nanum Foundation’s spirit and purpose. As the campaign goes forward, we will stay in touch and inform you of its progress. We hope that the 1% Nanum campaign will aid in creating a community built on compassion and goodwill. How can you participate in the 1% Nanum Campaign? Pledge: please visit our website and click the “Donation Now” button at the top of the page. Or you can also send donation checks in the mail.